For the past few months, my commute has taken me by Malia’s, a food-truck operation on Lamar between Cleveland and Bellevue. It was hit or miss as far as them being there. But I had time to stop today and am glad I did. Owner Gregory Graham is a barbecue scion. His grandfather owned Uncle Joe’s, a barbecue place at Third and Vance. 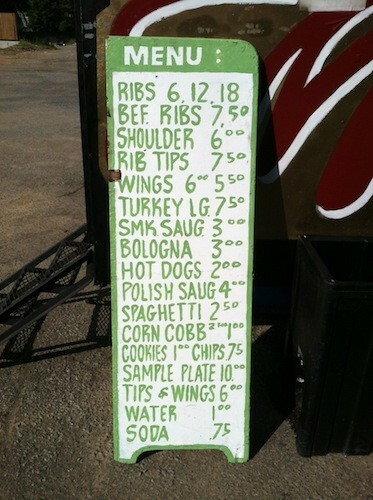 I had the wings, which were smoked and served unadorned — my preference. They were crisped on the outside and smokey/succulent inside: obviously the product of a virtuously slow cook. Another patron chided them on the pace, and I was glad to see them push back and remind him that they didn’t do fast food. I didn’t mind the wait of about 10 minutes. They are nice and chatty. The ride home smelled delicious, but was excruciating as I refuse to eat in the car. 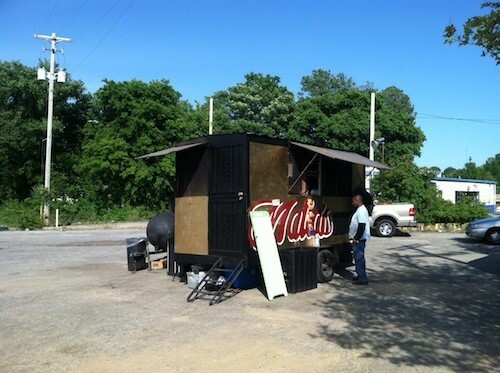 Malia’s is at the Lamar location Mondays through Thursdays and at Elvis Presley and Norris on weekends.